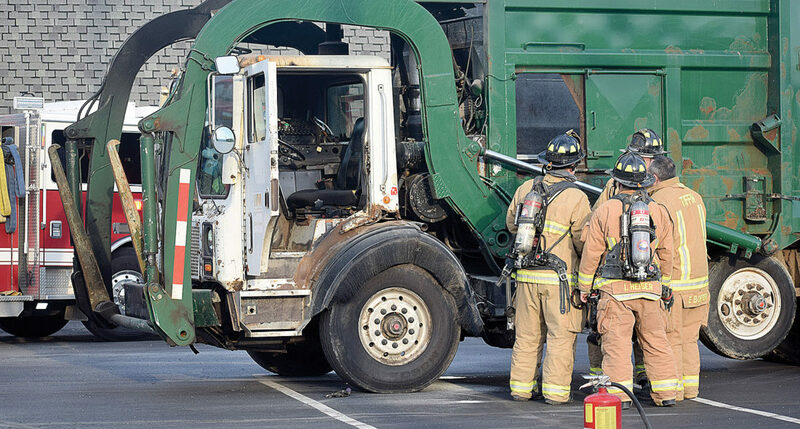 Cardboard inside a Waste Management garbage truck burned Friday morning. Chief Kevin Veletean of Tiffin Fire Rescue Division said the truck was hauling cardboard, and the fire started in the material. The cause was undermined Friday, he said. Veletean said the driver did an excellent job and did exactly what he was trained to do. The cardboard in the truck was dropped into a Wentz Street parking lot, and another pile smoldered. “We ended up putting it out,” Veletean said. The driver used his fire extinguisher in the back of the truck as a precautionary measure, Veletean said. “There was nothing that was burning (inside),” he said. There was no damage to the truck, and no one was hurt, Veletean said. Tiffin Police Department assisted at the scene. The fire was reported at 7:53 a.m., a police report states.